Once a teacher has practiced, understood and experienced the benefits of meditation for oneself he or she is ready to pass the skills onto his or her classes. When participants who have learned the SARM™ techniques come together they create a collective atmosphere that is dynamic, creative, intimate, harmonious and developmental. This workshop focuses on how to introduce SARM™ into a classroom for students. Once students become accustomed to a period of silence and stillness in the classroom many unexpected qualities emerge. Students become more focused, more interested and more co-operative. The normal distractions and harassment that take place between them diminish and sometimes disappear, naturally. The main word is naturally. The teacher's role changes from being controlling and authoritarian to a flow state. As a result the class is unified and the brains of the students have become more receptive to learning. 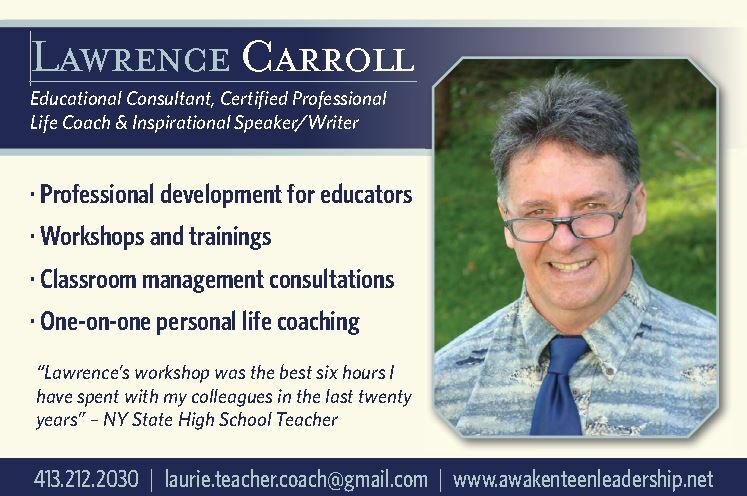 Listen to the following interview Lawrence Carroll has with three of his students about this process. "Mr. Carroll is distinguished in my mind, because he has the courage and foresight to fuse the world of public education with the world of mindfulness through meditative and reflective classroom practices.